SMLunch has always been about bringing people together who would otherwise only connect online through social media. We all know putting a face to the Twitter handle is a powerful step in building strong relationships (and friendships!) that lead to endless professional possibilities. 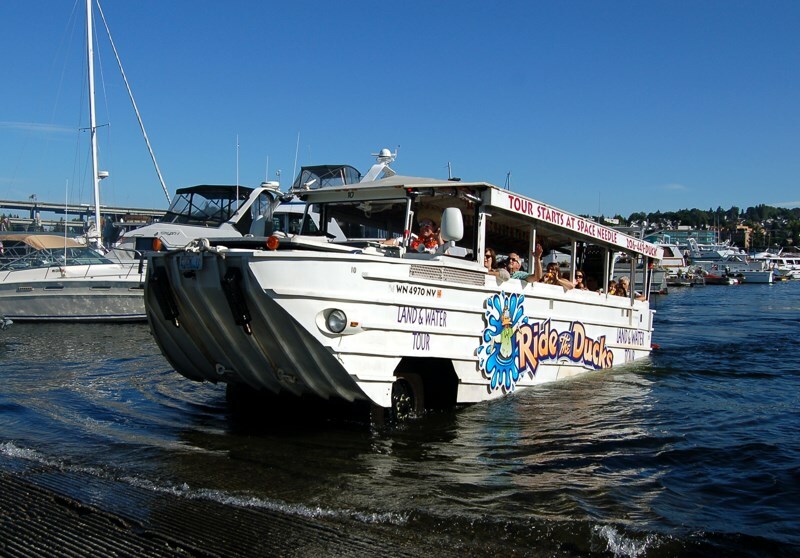 We at The Fearey Group also proudly support local businesses that are taking social media to a whole new level and enjoy introducing them to some of Seattle’s most creative and energetic social media enthusiasts. This October we are SO excited to partner with our friends and master chefs at Hot Stove Society! If you haven’t heard of them, now’s your chance to roll up your sleeves, conjure up your inner chef and see firsthand what the folks at Hot Stove Society are doing to make culinary dreams come true. Attendees will have the chance to view a live cooking demo and then break out into hands on activity whipping up their very own edible creations. This is an event not to be missed so spread the word, bring a friend and come hungry – we hope to see you there! Hot Stove Society is a year-round cooking school operated by Tom Douglas Restaurants. Their goal is to offer a curriculum that ranges widely from light-hearted and sociable to skill-building and challenging. Classes are about many things from how to cut up a chicken, to how to build a delicious cocktail, to finding out who’s the hottest chef in Portland. Whether you’re seeking something fun and boozy after work or you’re aspiring to “cook like a pro,” you’ll find your dream class here. Hot Stove Society is a personal quest to educate everyone who has the desire to become a better cook – whether they want to learn how to brew a perfect cup of coffee or butcher a whole pig. Hot Stove Society is located in a bright industrial space inside the stylish Hotel Andra. The presentation area boasts a wide curved prep area where guests can gather for lectures and get up close to the instructor. The other half of the room is filled with Boos work tables, a large bank of KitchenAid stoves, and racks of equipment. Capacity is 32 for a hands-on cooking class and over 60 for lectures. The classroom is also available for private events and company team building. At the entrance to Hot Stove, a Tom Douglas Restaurant called the Andra Bar, a cool Swedish bar open to the public, is the place for a drink and a snack. SMLunch is back! On Tuesday, August 26, we invite everyone to join us at Historic Flight Foundation for a chance to make some connections, check out historic airplanes and learn more about HHF’s upcoming Vintage Aircraft Weekend. We’re even offering a chance to win a flight in a Douglas DC-3 at the lunch! Historic Flight Foundation was founded in 2003 with a mission to collect, restore and share significant historic aircraft produced between 1927 and 1957. 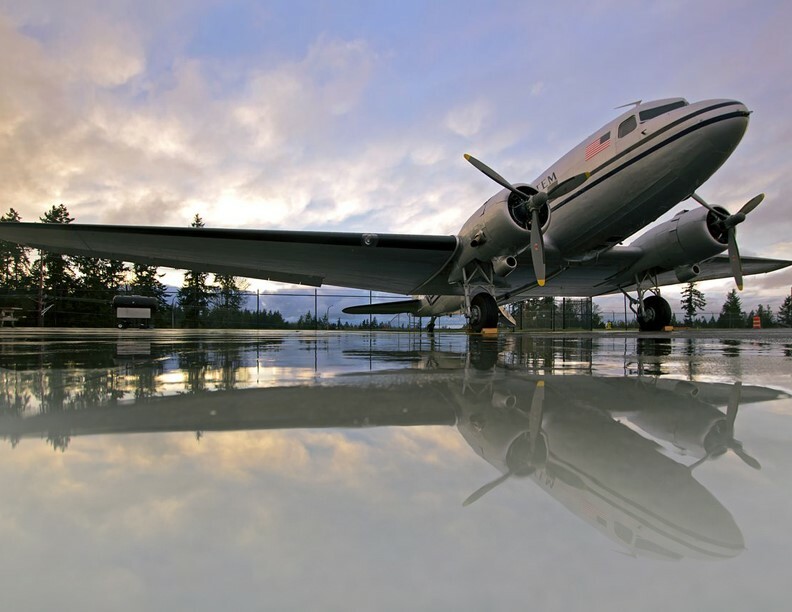 Whether you are an veteran aviator, a student of history or a newcomer to the world of aviation, Historic Flight Foundation offers an opportunity to experience history and see rare treasures from an important era! Get your tickets here before they fly away! To learning more about Historic Flight Foundation, visit their website, Facebook or Twitter. Porch is the home improvement network, free for homeowners and professionals. With over 1.5 million professionals and over 90 million projects in their network, Porch enables consumers to make smart home improvement decisions by connecting them with the right professionals. Porch helps professionals grow their business and succeed as homeowners look online for trusted professionals to complete their projects and improve their homes. CEO Matt Ehrlichman is creating Seattle’s next great company so come join SMLunch and see the hottest startup in Seattle! Limited seats available so grab a ticket while you can! Social media is all about real-time updates and getting news faster than ever. When it comes to the local news that matters most to Seattleites, no one does social media better than KING 5. This April their team of super-savvy social media mavens are inviting SMLunch to their studios to give us all a behind the scenes sneak peak in to how these guys keep us all informed. No SMLunch would be complete without some delicious fare to gather around. That’s why we’re excited to announce that the folks at Sam Choy’s Poke To The Max food truck will be on hand, serving up the freshest Big Island-inspired cuisine Seattle has ever tasted. We’re also thrilled to be partnering with Northwest Harvest during this event. $5 of every ticket sold will go directly to Northwest Harvest to help them in their mission to stop hunger. WOW! So much excitement packed into one lunch. Tell your friends, tweet it out and be sure to follow all our sponsors for real-time updates on the events in store. February may be giving way to March soon, but not without bringing everyone together for a very special SMLunch. This month we travel to Madrona where glassybaby opens it’s doors to the SMLunch crowd and gives us all a peak in to its impressive story and creative background. Did you know that to date glassybaby has donated over $1.8 million dollars to charities centered around healing – and they are on pace to hit the $2 million mark this March! A company deeply rooted in the power of community – glassybaby will also be showing guests how a glassybaby is made as artists will be blowing throughout the event. And we all know networking and tweeting can’t be done on an empty stomach – that’s why our friends at Evergreens Salads in Seattle will be on site with an array of some of their freshest creations. Founders Todd and Hunter are committed to providing only the best of the best in sustainable and fresh ingredients for their customers – whom they affectionately treat as their family. We can’t wait to meet new faces and see old ones as we end this month on a high note. Hope to see you all there! The holidays are coming at us full speed which means we only have ONE MORE SMLunch before 2013 is in the review mirror! We’re ending the year on a high-note by hosting a festive and fancy SMLunch event thanks to our friends at the World Trade Center Seattle. 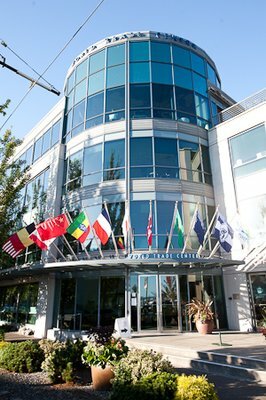 With stunning panoramic views of the Elliot Bay and the Olympic Mountains and freshly inspired cuisine, the World Trade Center is sure to be one of our most impressive venues yet. For the price of your ticket, not only will you walk away with dozens of new contacts to connect with on and offline, but you will all be feasting on some of the best cuisine the WTC has to offer – check out the menu! As an added treat, co-sponsor TalkingRain will be on hand serving up complimentary creative holiday mocktails made with their supremely popular Sparkling ICE beverages. But what is lunch without a little networking? We encourage all veteran SMLunch attendees to bring a friend and introduce them to this fun and uniquely engaging event. To register, please visit Eventbrite and get your ticket today!